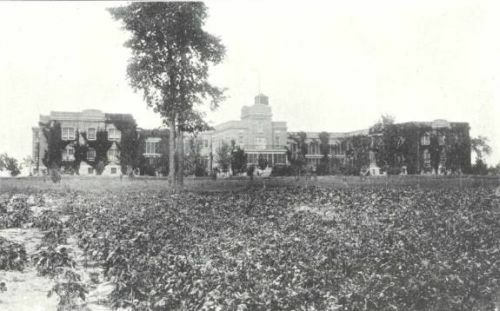 This page contains historical pictures related to the old county asylum which previously stood on Galvin Ave, and was recently demolished. 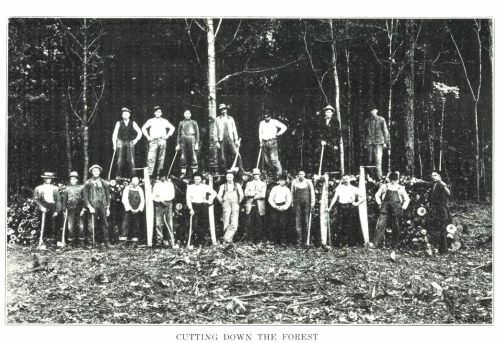 The Asylum had its own wood cutting crew that cleared land for the farm and made firewood for heating. This is a picture of the crew from the early years of the Asylum. 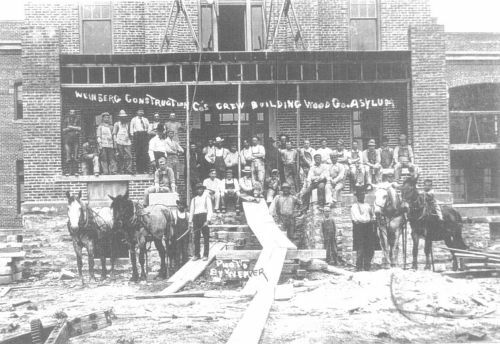 The "Weinberg Construction Co's crew building Wood Co. Asylum". Photo by Weaver.